Soviet-led forces invaded Czechoslovakia in August 1968 in response to the Prague Spring, a reform movement launched earlier that year by then freshly installed Communist Party chief Alexander Dubček. But how soon into Dubček’s rule did Moscow become concerned about developments in Prague? And what, if any, steps did the Slovak-born leader take to appease the Russians? Those are just a couple of the questions I discussed with Kieran Williams, who is the author of The Prague Spring and its Aftermath and teaches at Drake University in Des Moines, Iowa. Kieran Williams, photo: archive of Drake University When did the Prague Spring movement start, in a sense, getting away from Dubček and running out of his control, or the control of Dubček and the other leaders? “I’d say the missed opportunity was fairly early. Dubček had a pretty relaxed time frame. “He thought he could gradually roll out the reforms: they would release a big reform manifesto and that would set the agenda. “But that took longer than expected and in the meantime they kind of let censorship end, more by benign neglect rather than conscious decision. “When censorship was gone, in say March of 1968, they had effectively lost control of what was going to be talked about. I was reading that some historians believe that Dubček maybe made a mistake when he didn’t remove more conservative members of the politburo and install more progressives like himself. Would you say that’s a fair assessment? “I think it was very difficult in the early months of 1968 to determine who was conservative and who was progressive. “There actually was a fairly thorough cleanout of the people associated with Dubček’s predecessor, Antonín Novotný. “And some of the people who Dubček promoted to replace them turned out to be the very men who in August were to collaborate with the invasion. “Dubček was perhaps not always the best judge of who he could trust and who he should ally with in forming a reform coalition. When did goings-on in Prague begin to cause consternation at least in Moscow and other Eastern Bloc capitals? “Immediately. I think Czechoslovakia was already considered a difficult country before Dubček came to power, for several years. “I would actually date it back to the fall of Khrushchev in the Soviet Union in 1964, which the Czechoslovak side did not welcome. “They had been getting along very well with Khrushchev. They were sad to see him go and made it clear they did not like how he had been removed. “So I think there had already been friction between Prague and Moscow for four years. 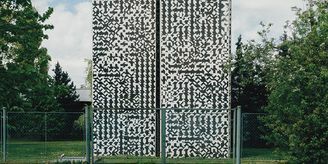 “The Soviet Embassy in Prague was constantly feeding reports back to Moscow about difficult intellectuals causing trouble in Czechoslovakia well before 1968. Alexander Dubček, photo: Czech Television “I think once Dubček came to power there was already this sense of concern about where things were going to go. When did Brezhnev explicitly make a threat toward the Czechoslovak leaders, saying, If you don’t roll back the reforms, we’re going to have to do something here? “Judging by the transcripts, he was dropping hints by May of 1968 in a way that should have been picked up by canny, seasoned Communist Party functionaries. “They should have known the code language. Did Dubček then take any steps at all to appease Brezhnev? “Yes. 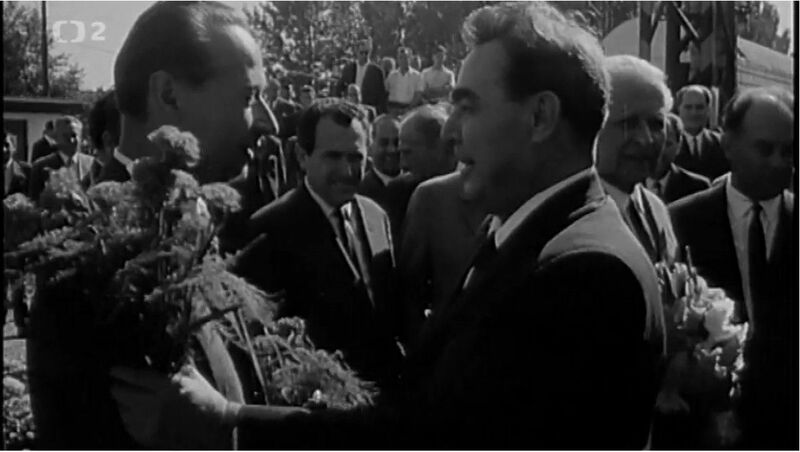 He thought they had a deal when they met at the end of July 1968 on the border between Slovakia and Ukraine. “He thought they had reached an understanding, that there were certain things that Brezhnev expected Dubček to do, like regain control of the media, remove certain reformers who had displeased the Soviets and reform the secret police. “Brezhnev thought he had an understanding, that Dubček would take care of that, that Dubček understood what was expected. “But Dubček again thought that he would have more time. “He thought that this was something that he could take his time in doing, whereas Brezhnev wanted results within a week. “So they had completely different understandings as to the time frame and I think that’s where the misunderstanding arose. If we think about, let’s say, June 1968, at that stage what was Dubček hoping for at that point? What was his endgame in that moment? Yes, what did he think he could actually achieve? “It’s very fuzzy. And I think he himself hadn’t worked it all out. “They were kind of making it up as they went along. “He definitely wanted the Communist Party to have a political upper hand in the country – he didn’t want any genuine political competition yet. 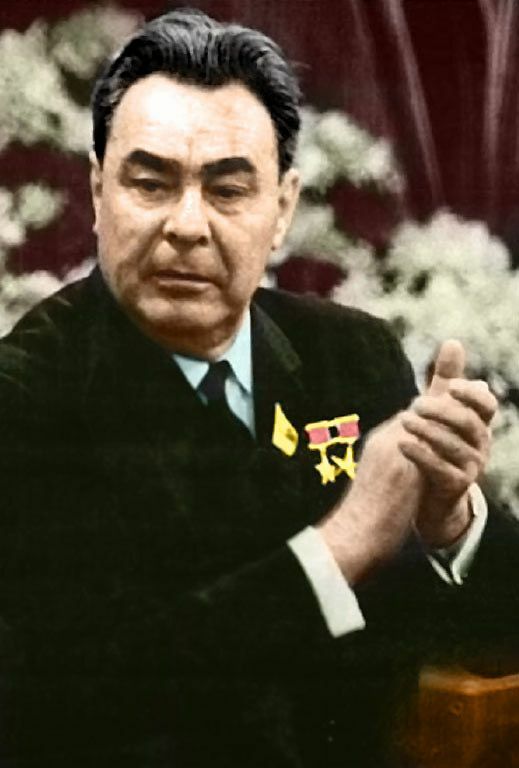 Leonid Brezhnev, photo: Deutsches Bundesarchiv, Bild 183-F0417-0001-011, CC BY-SA 3.0 “So the country would still definitely be run by the Communist Party. It would tolerate the minor political parties that had always existed – they would continue to exist. “Then he wanted to liberalise and somewhat democratise the way that the Communist Party functioned as an organisation. “They would have allowed more debate within the Communist Party, more formation of factions or platforms, so there would be some sort of internal pluralism but still within the party’s framework. “On the economic side, again it was still emerging. They would allow enterprises more autonomy in making more decisions about supply and demand, distribution and things like that. “But there would still be a state-run economy, with some market elements. “That was running into trouble. 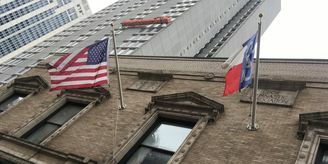 They had not really figured out how that was going to work. Is there any sense in which Dubček overestimated the value of the public support for the Prague Spring, that he thought he had a lot of the public on his side and could therefore get away with more than he actually could get away with? “He certainly understood – because they had a lot of opinion polls – that there was massive, massive public support for the idea of the reforms and for liberalisation. “He didn’t make as much use of that as he could have. I don’t think he understood how to use that. “He wasn’t used to operating in that kind of environment. “So he didn’t really ever try to mobilise the public as a form of pressure on the Soviets. I think that was a very alien idea to him. “The public self-mobilised at times, like before that meeting at the end of July on the Slovak-Ukraine border. “The public definitely exerted its own form of pressure on Dubček not to capitulate and cave in to Soviet pressure. When did the invasion become completely inevitable? When did it become a done deal, even before it actually happened? “I would say on August 13. Brezhnev and Dubček had one of their periodic telephone conversations. “They would talk about every week, once again because Brezhnev wanted to get confirmation from Dubček that he would take care of the things that the Soviets were worried about. “And the conversation went terribly. They became extremely emotional. These were two men under enormous pressure and they both started to let that affect their judgement at this point. “What was extremely important to the way in which politics was done in the Soviet bloc at that time was that personal trust between the leaders was essential. “Brezhnev in particular relied on trust in the leaders of the Communist parties of other countries. “And if that trust was lost, then Brezhnev would fear the worst. He would fear that that person could turn into another Tito in Yugoslavia or Ceausescu in Romania, someone who would be very difficult, a maverick, someone who would not be fully on board. “He was afraid that that’s where Dubček was going. That he was going to evolve into one of these difficult characters within the socialist camp. 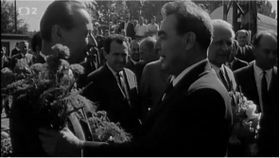 Alexander Dubček, Leonid Brezhnev, photo: Czech Television “So I’d say that’s pretty much when the fate is sealed, August 13, so a week before the invasion, which is not that big a time frame. Do we know if during that week Dubček was bracing for some form of action? Or was he still optimistic? “I think he was optimistic. There’s no evidence that he had any inkling of an impending attack. You wrote the book The Prague Spring and its Aftermath: Czechoslovak Politics, 1968–1970. What was the main thing you learned about this particular period in putting together that book? “It was very surprising to me to sense that on the Soviet side they seemed to have arrived very consensually, on their side, at the necessity of intervention. 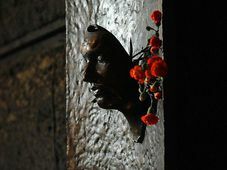 “Unlike 1956 in Hungary, where it was more acrimonious; there was actually more disagreement on the Soviet side about whether to use force in Hungary in ’56. How do you think history should judge Alexander Dubček? “I think with a fair degree of understanding. That he was a fundamentally decent man, very much like Mikhail Gorbachev in the Soviet Union later. “That he was a fundamentally decent, principled, idealistic man who somehow had the political skills to get to the very top of his country, but then didn’t have the political skills to stay on top, to stay in power and anticipate where threats were going to come from. 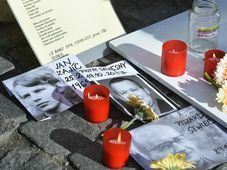 “So I think it will have to be to some extent a critical evaluation of someone like Dubček, that he didn’t have the political skills to manage the situation that he was getting into. “But on the other hand, I think everyone will be grateful that that situation happened at all. 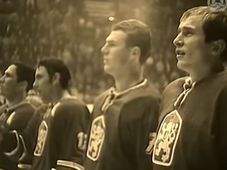 “If you asked Czechs or Slovaks, Do you wish 1968 had never happened? I think you’d get very mixed feelings. 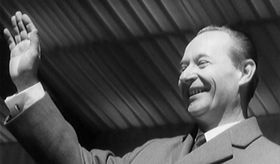 Did Dubček make a similar mistake to Gorbachev in realising too late from his perspective that people simply can’t be satisfied with what one might call “half freedom”? “That’s it. I think that’s what it comes down to. “He felt because he was actually very popular initially, like Gorbachev was very popular initially, that people would be satisfied to just kind of leave things at that point and underestimated that once you start to give people a bit more freedom – especially freedom of speech – they will do things with that freedom and maybe you didn’t want them to do. “That’s when you start to lose control of the situation.